About telescopes: There are basically three types of telescopes: Refractors, Catadioptrics and Newtonians. The first two are quite expensive to manufacture with benefits not justifying the cost. Hence we chose to make the Newtonians only. 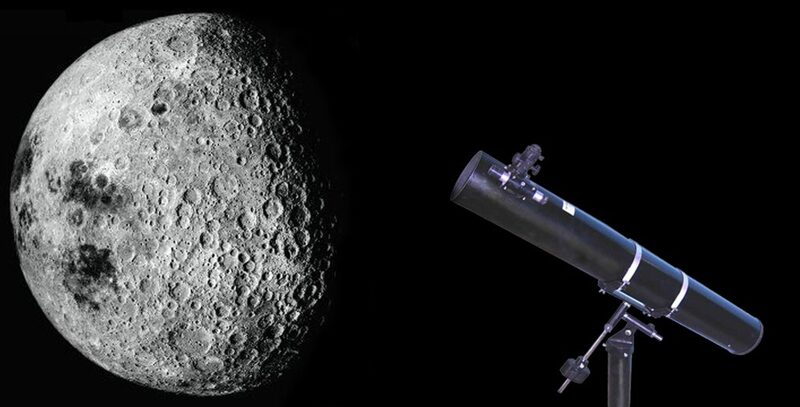 Newtonian reflecting telescopes have a perfectly achromatic (free of false colours) image that is viewed by the eyepiece at right angles to the direction of the object being viewed to make sky viewing comfortable. The eyepiece is near the front end of the tube so the overall height of the telescope is also less. What you can see with a telescope: Interestingly, even our smallest model shows the Moon’s crater filled terrain in amazing detail. Ring system around Saturn, four Galilean satellites of Jupiter with its cloud belts, phases of Venus, the red disc of Mars are all within its reach. As the size of the telescope increases, you start seeing more and more details in all objects, besides beginning to see new and fainter objects of the sky like galaxies, nebulae, star clusters, gas clouds etc. The larger the telescope, the more deep into space can it probe. It may be noted at this point that howsoever big a telescope may be, all stars are seen as bright points only, albeit much brighter than as seen by an unaided eye and indeed countless stars invisible to the naked eye, become visible to the bright eye of a telescope. On land objects too, you will find the telescope an extremely interesting gadget for getting close up views of distant landscape. You can even use it as a powerful telephotolens with your camera ! The key to a telescope’s performance is, however, the sharpness of the image that it forms. A small telescope with good optics will out perform a large telescope with poor optics, as far as seeing details in an object is concerned. Our experience of more than 40 years of making and testing telescopes ensures that what you get from us is the best that can be got, not just in India, but anywhere in the world, as far as image sharpness is concerned. Unlike other locally made telescopes and some sparkling cheap ‘phoren’ telescopes that have now entered the market, we at Sharp Vision use the best optics in our telescopes that makes them comparable to the world’s best. Choose your telescope from our large range to suit your observing space and budget. Each model is accompanied with books to get you started in Astronomy and is guaranteed to give you years of pleasure and learning.